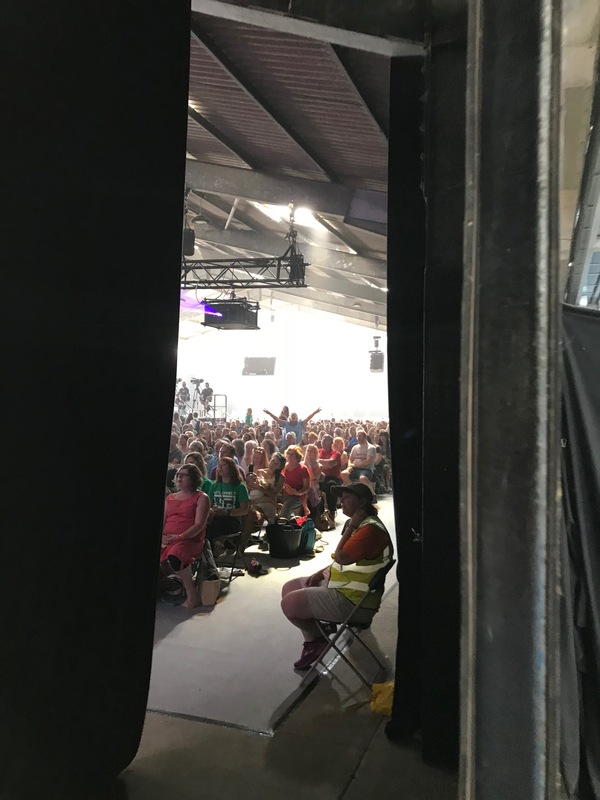 CreationFest in Cornwall – Some personal Reflections. I once went on a Christian holiday (that is a holiday arranged by a Christian tour company for Christians) – it was nice but not my cup of tea and too expensive for this pastor! Apart from going to the Strathpeffer Convention in the Highlands when I was a teenager and speaking at a couple as an adult, I have never gone to any of the conventions, conferences, festivals. It’s not because I have anything against them, it’s just that if I am on holiday I need to be away from work – and for me going to a Christian conference is too close to work. 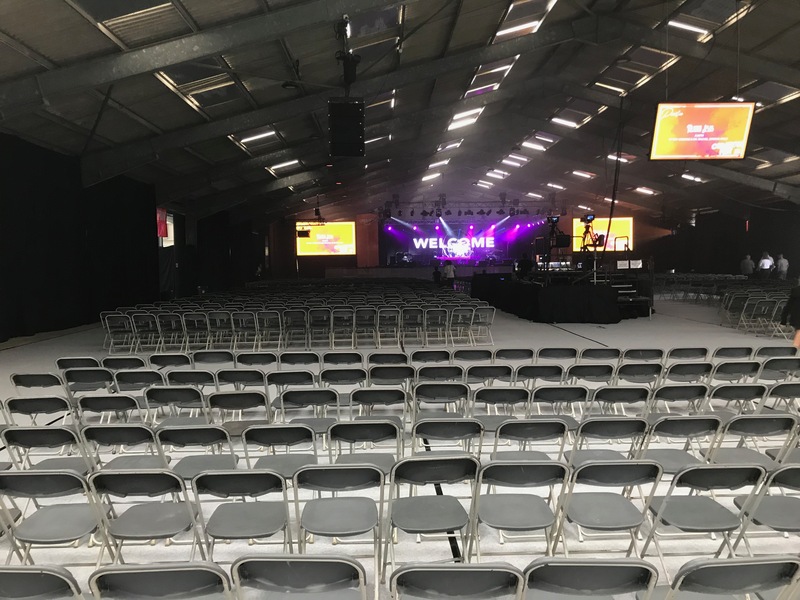 I havn’t done a great deal of conference speaking – Spring Harvest, CLAN, Word Alive and Keswick. The fact that I have spoken at these only once probably says a great deal! I don’t think that I’m really a conference speaker. So it was with some reservations that I agreed to go and speak at CreationFest in Cornwall. I was there a few years ago and since then it has grown into one of the major Christian festivals in the UK. Given that it’s not my natural environment, why did I go? Firstly I am inclined to accept invitations to preach the Gospel anywhere! Walk through every door! I also appreciate very much the work of Brian Broderson and Sarah Yardley through Calvary Chapel and Creationfest, and they had the nerve and graciousness to invite me back! Plus the subjects they gave me were great – Proclaiming Christ in a Post-Christian Society and Jesus better than the angels (Hebrews 1:2-14). 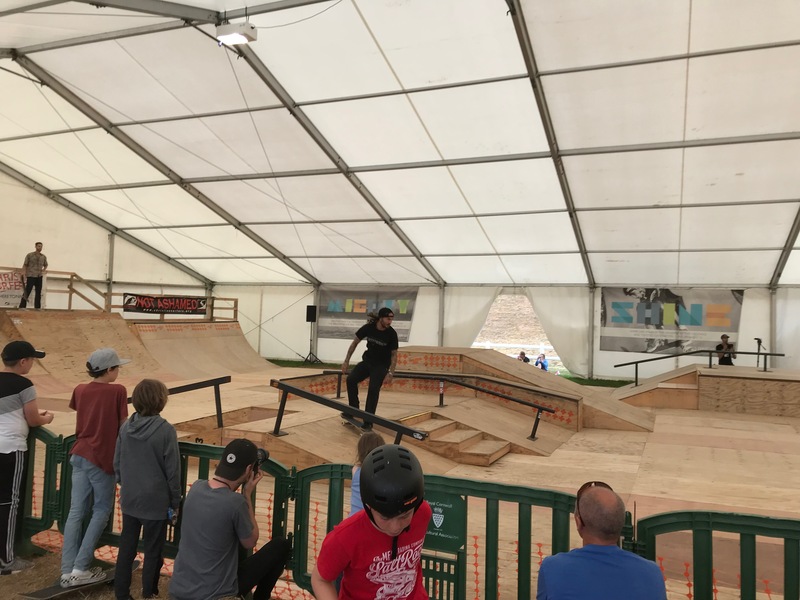 CreationFest is fascinating – it combines music (70 bands and singers), skate boarding, sport, children’s programmes, youth activities and a lot of bible teaching and talks. 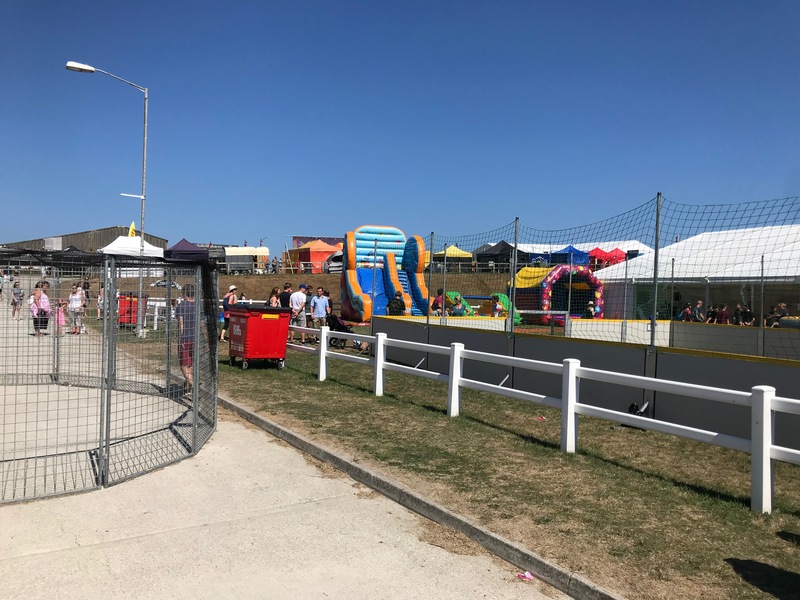 All of this takes place in the Royal Cornish showground. 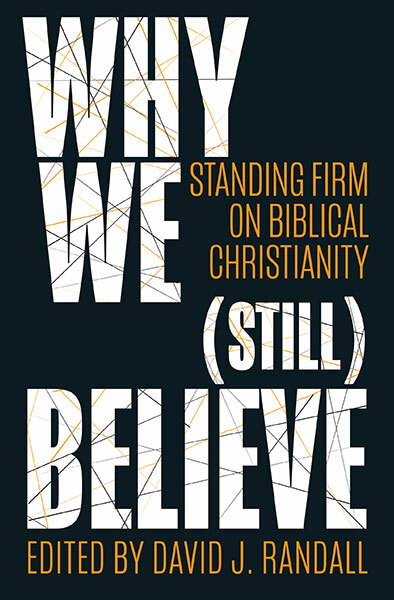 It also has a couple of other defining features – firstly it is free and secondly a significant part of it is evangelistic. Those two things are not unconnected! The congregation, the showground, the skatepark, the main shed and the view from the speakers room! How did it go? Well – it is still going – at least until Friday (if you are in the Cornwall area why not pop in? its free!). I was only there from the Saturday to the Monday – but after a difficult start – I loved it! Sunday, it was sweltering hot so I was astonished that so many came to the afternoon seminars, rather than go to the beach. I found it quite hard speaking into the darkness from the stage (I rely a lot on interaction with those I am speaking to), but I hope the messages were helpful. I loved doing a Q and A with Andy ‘that’s a good question’ Bannister on Sunday evening. Again I was impressed with, and burdened for, the young people I met. And the bookstalls could have been better. But other than that I saw much to give thanks for. It is a superbly organised and balanced event with a strong emphasis on bible teaching. Calvary Chapel, the workers, the organisers, the 400 plus volunteers are doing the Church in the UK a great service by putting this event on. I pray it will grow and prosper and be used by the Lord to further his kingdom. 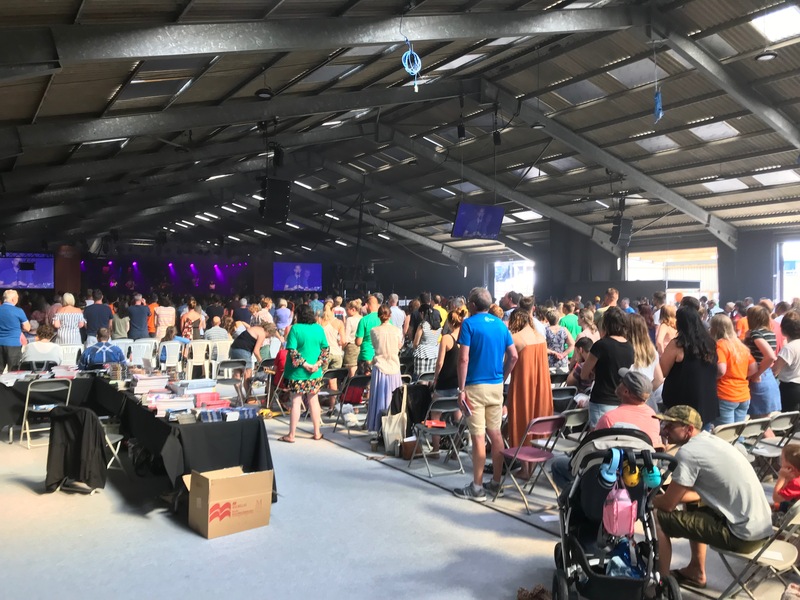 With Soul Survivor closing and New Wine moving to Peterborough, CreationFest offers something that many Christians (and non-Christians) need. One interesting footnote – I was asked to do an interview with Andy (who is down for the week) for GodTV. That was, to say the least, a surprise! It apparently went well (I will let you know when it is on), so much so that we may be doing some more shows with them. Wonders will never cease! Walk through every open door! I await the invitation from Greenbelt! I was also surprised and encouraged by the number of people who told me that they read this blog, that they love the podcast and even more that they pray for me. It was humbling and encouraging. And CreationFest are coming to Scotland – to Dundee! Watch this space…and put it in your diary…and pray. An Encouraging Tale- The Herald and Christianity in the Public (George) Square! Previous Previous post: Wow! – The Prophesied Madness of State Sponsored Child Abuse has Arrived.